What Did This SLS AMG Do To Deserve Such A Violent Death? A lot of cars end life at the junkyard. Somehow people just don’t see the value in holding onto an old Geo Metro or Toyota Camry. It’s not rare to see daily drivers crushed and smashed at junkyards. What is odd is seeing a car as beautiful and pricey as the Mercedes-Benz SLS AMG suffer such a fate. There’s no background information available so we don’t know what this SLS AMG did to deserve this death. It’s odd that it is even at the junkyard at all. 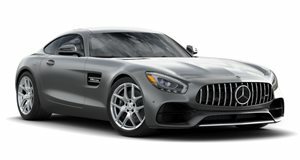 We’ve seen totaled Mercedes AMG models for sale with huge price tags. If you thought watching a classic Porsche 911 get crushed in the name of fashion was bad, then you’ll hate this video.